India's dream of reaching World Cup 2014 ended with a 5-2 (on Aggregate). But for the sake of the large number of fans who attended the match despite the pouring rain India managed to get a 2-2 draw against the visiting UAE side. For India the goals were scored in the latter part of the second half after they were facing a 2-0 deficit. 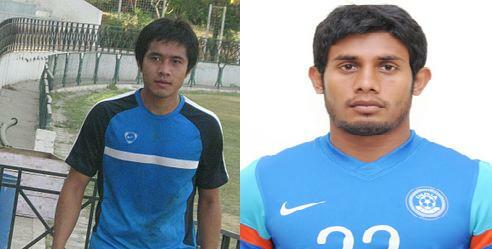 The scorers were Jeje Lalpeklua(38') and Gourmangi Singh(90'). The overall quality of the match was spoiled because of the continued heavy rain. The ground was waterlogged at many places, and ground passing was close to impossible. For India, the best performers were Syed Rahim Nabi, Sunil Chhetri, Lalrindika Ralte, Raju Gaikwad, Mehtab Hussain whereas Indian Captain Climax Lawrence, Clifford Miranda and Samir Naik did not had a good game to say the least. While Syed Rahim Nabi was undoubtedly one of the best players in the Indian Team in both games, Lalrindika deserves a pat on the back for his wonderful showing in the little time he got. The 20 year old winger was the key architect of India's first goal. 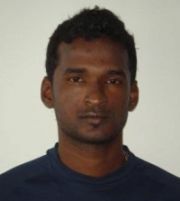 If there is one thing wrong with the Indian team, its the non-performing captain Climax Lawrence. Coach Armando Colaco's team selection seems to have a leak in the midfield, more so by assigning Climax Lawrence the Captains armband. Climax was a flop show in both the games and despite not looking in good touch, Armando Colaco did not opt for a substitution, while he had players like Lal Kamal on the bench. Except for the Team selection, the Dempo Coach was spot on with his tactics. The draw will not only earn India some crucial FIFA Ranking points but also will help in getting some respect from other nations. India under Coach Armando Colaco looks more lively than ever.